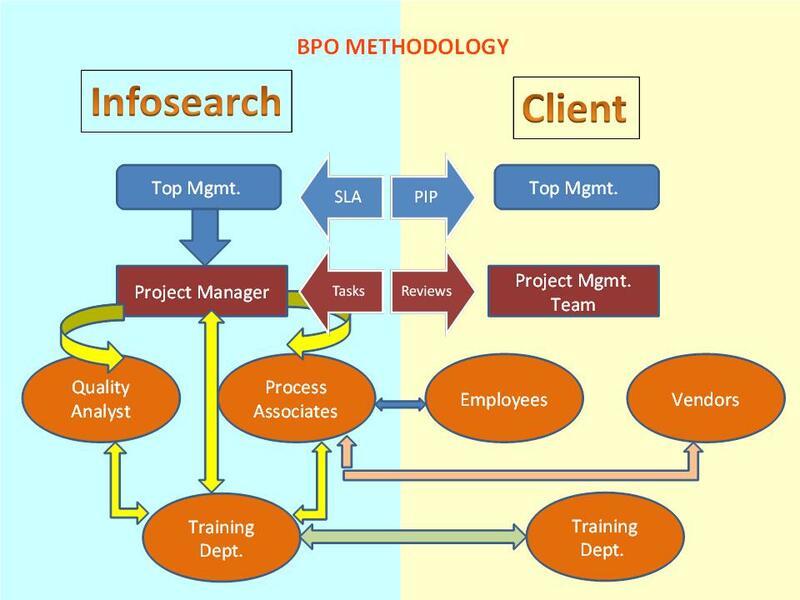 Infosearch BPO delivers an outstanding back office processing services to Global businesses. We are an ISO 9001:2015 Certified Call Centre, having around 10 years of successful Call Center & BPO experience. Accounting Functions, that includes various Accounting & Finance related tasks. HR Functions, that includes Recruitment, Payroll Processing and more. Data Services, that includes Data Processing & Management services. Chat & Email Support, which is basically a non-voice customer support services. We follow a very professional, effective & proven (by our experience) methodology in the back office support services that we offer. You can see that in the below flowchart. We understand that every process & its requirements vary. And Infosearch BPO is known for its customised services, so the methodology will be modified according to client’s needs & process. Why to Outsource back office services? You can concentrate fully on your core business. You can save on the operational costs. You can experience the skilled talents work on your behalf. You can make use of best of technological solutions to meet your goals. Outsourcing is a proven cost-effective method for any business.